Lewis Hillier strongly believes Guernsey can benefit from playing away from home as they prepare for their first season in National Two South. Photo Credit: Tyler Thorne and Martin Gray. Hillier captained the island side to promotion from London and SE Premier last term following their play-off win over Bournemouth at the end of April. Last year, Jordan Reynolds’s men finished just a point behind eventual champions Barnes and collected 22 wins from their 26 matches. Ten of those aforementioned victories came away from Footes Lane and with Guernsey used to travelling long distances for fixtures, Hillier feels their form on the road could be vital this year. Raiders on the rise… ☝️? “I think the majority of new teams which go into the league do struggle with some away games,” he said to ncarugby.com. 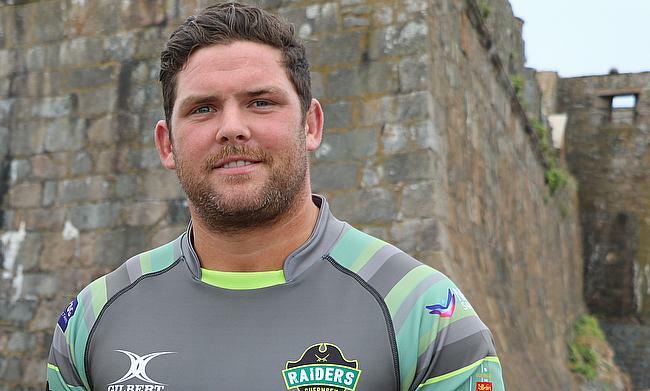 Guernsey created history by gaining promotion earlier this year, but the Raiders didn’t make life easy for themselves. After topping the league for long periods in the season, Guernsey lost two of their last five games which meant they had to settle for a play-off spot. In the end, Guernsey managed to get the job done against Bournemouth and they also rounded off the campaign by clinching the Siam Cup against Jersey Reds. “It was shame we didn’t finish top,” said Hillier. “Everyone wants to be at the top and we were there for the majority of the season. “It was a lot of pressure for us, but we managed to get the win against Bournemouth and they are a class outfit so it showed we could take that next step. “Going up to National Two has never been done at our club so there was a lot of pressure in that play-off game. The opportunity was there for us and we took that with both hands. Lewis Hillier leads out Guernsey. Photo Credit: Martin Gray. Guernsey are now preparing for life in National Two South and they are certainly one the most unique sides to be competing in the fourth tier this season. With the island being off the coast of Britain, the rugby club are at a slight disadvantage when recruiting players, but Hillier insists the young and vibrant squad which has been built at Footes Lane can be competitive this season. He added: “We have obviously lost a few players, but we have gained a few as well so it is about building that momentum back up again. “We have got quite a lot of young players in as well which brings a lot of energy into the team and we all can’t wait to get started and get out there and play our best. Their maiden fixture in National Two South sees Guernsey travel to Hertfordshire to take on Old Albanian this weekend. 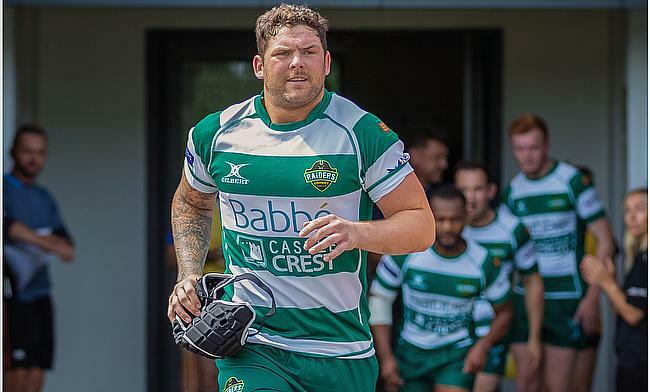 OAs were relegated from National One in April and are arguably one of the favourites for promotion this year, but Hillier is looking forward to leading his side out at Woollams as Guernsey begin their latest chapter. “Old Albanian are going to be a very good outfit,” he said. “They came down from National One and I am sure they are going to be looking at trying to bounce straight back up. “They are going to be a tough opponent for us, but it will be a good test us at the same time. We would rather push ourselves against these big teams so it should be a good game on the weekend.